This is a snap-shot of some of the big social salsa events in Australia and south-east Asia in 2018 which I attended. 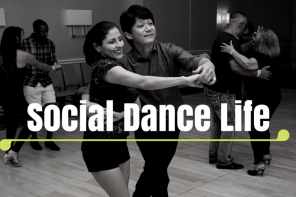 While event comments are made overall, I focus mainly on the social dancing, post the workshops and shows. 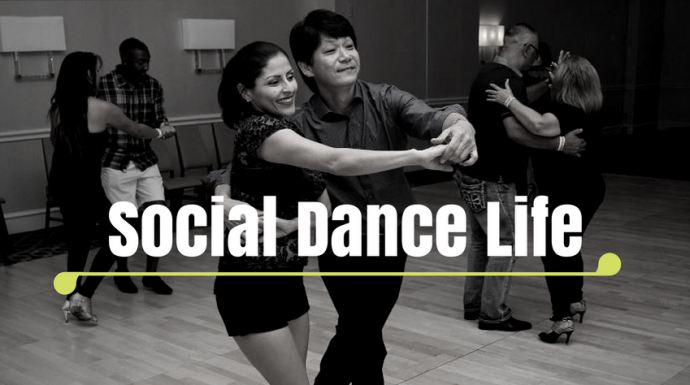 It’s an ordinary social salsa dancer’s view, nothing more. Many will see things differently. In short, make the effort. Hanoi is a fascinating city in North Vietnam, full stop. But if it’s excellent social salsa dancing (with international artists and a full workshop program) you seek, go to the 2019, 4th edition. About 300 participants went in 2018 and undoubtedly it was the friendliest event I experienced during 2018. And that’s despite very little English being spoken, particularly in Hanoi itself. It’s not often that busy organisers actually approach you and thank you for making the effort to come. The venue had a 100% salsa room and another room nearby for kizomba and bachata. The floor was marble, I think, and perfect to dance on. Lots of good salsa dancers were present with an emphasis on On2, which is the trend globally. The salsa was played both loud and late into the night. There was a welcoming party at Spring Salsa on the Thursday, while Friday, Saturday and Sunday were festival nights. The shows were of good quality, the MC was very charming, and the workshop list impressive. In fact, I can not fault the event. It is awarded the EQUAL TOP SOCIAL SALSA DANCER’S EVENT FOR 2018. Adolfo will welcome you in 2019. Hanoi has plenty of hotels for Westerners. The venue is a few kilometres away from the main tourist centre but this can be easily overcome. Taxis are cheap and plentiful but drivers do not speak English. Get the hotel staff to write a letter of explanation in Vietnamese and carry this with you. The driver will ring the hotel and get the address. Apparently other transfer services are available too. All venues have a night-watchman and if asked nicely they will call a taxi. Vietnam Airlines proved to be be an excellent choice both domestically and internationally. Visas do take some time to organise and be careful to deal only with the embassy in your country (they will want your passport sent to them). Watch this event. I predict that within a couple of years it will be a world-beater. In its second edition, as is often the case as festivals grow, despite an enormous spend on artists, bands and singers, it fell short mainly in the stage-management and MC categories. But that is a harsh criticism of an otherwise excellent program which leads the way in the number of super-star dancers and musicians presented. The best bits? The sublime list of artists and the salsa band Tromboranga. The main salsa room, while starting very late, also played late. This was partly due to the band overplaying over-long solos, and performing more of a concert than a dance set, and the numerous shows meandering on. There was a huge attendance of top salsa dancers in the social social room, from many countries, hundreds and hundreds. The to-be-improved bits? The first dance floor had to be replaced with another after the Thursday night tore it up. Credit though, it was replaced by the next day. Security was over the top and obviously annoyed some of the dancers. The MC was a replacement and below par. The shows, band and singers needed to be properly managed and the entire programme was well behind schedule, hence the need for professional stage management. On the Sunday night the theme was a bachata concert, which is fine, but there were alternate rooms where salsa could have been channelled but it wasn’t. Bangkok is well set-up for tourism, and hotels, taxis, trains and places to eat abound. If you haven’t been there, you can travel with confidence. English is broadly spoken. But learn some Thai phrases. Your good manners and serenity will be silently judged. In short, without doubt this event is headed towards the top of world Latin events. It will take a little while to get the on-floor team together, but it will happen. It is highly recommended. This is the well-established, very friendly, well-run and really fun salsa-dancing event that has led the way in south-east Asia for well over a decade. You are guaranteed to have a good time and my fourth consecutive ticket is in my pocket. SBF is very well-priced and provides absolute value for money. The main salsa room has a long list of DJs from all over the world, and the social salsa music is 100% danceable. If you dance some cha cha cha, you’ll be catered to. Can anyone beat the SBF legendary pool party on the Sunday afternoon? It’s amazing. There is also a welcome and goodbye event close by. The shows are always well-managed, and the workshop list is extensive. Karen and Ricardo? World beaters though they are, did their two shows last a minute each? I blinked and missed one. The South-East Asia Dance Championships, in association with World Salsa Summit, is now attached to the event, so you bring home a trophy or have a humbling experience. The event is staged in Sukumvit, an area which caters for every tourist’s needs, and it is a perfect setting for an international dance event. You will have a great salsa time at SBF 2019 – guaranteed. It took three goes, but Mambo G really produced the goods in Sydney this year. Previous bumps were smoothed out. There was a good salsa band on the Saturday night and a big brassy mambo band on the Sunday. With four nights of dancing, and workshops aplenty, it was a ripper. It is awarded the EQUAL TOP SOCIAL SALSA DANCER’S EVENT FOR 2018. With the minimal shows repositioned, the MCs gagged and the practice of two previous events, social salsa-dancers from all over Australia danced long and hard, and left very happy. A niche vinyl room provided a get-away from the bigger floor. A thumbs-up for the hydration station which the Asian events all fail to provide. Could some of the DJs be changed to provide a broader range of salsa music? New York style predominates with the On2 dancers are most catered to, as the event name would suggest. The main venue is ideal, and it’s not far from the bus route for visitors. Both the Friday and Monday nights are held at the Off-Broadway Hotel in Glebe, very close to the city. 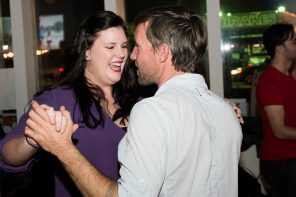 This event keeps providing quality social dancing with three separate rooms, including the main one for salsa. In addition, there is an interesting dance competition with a couple of world titles on offer, big shows and a full workshop schedule with oodles of internationals. A notable international this year was Spain’s Fadi Fusion whose social dancing is a model of brilliance. Mario Costa again showed the rest of the professionals a clean set of heals and danced off with yet another world title. The final night, Sunday, featured a grand dining experience and show viewing in the upstairs glamour room of the Brisbane Convention Centre. Set on the city fringe at Southbank, the dance venue’s location is really convenient for all transport and accommodation. It’s actually perfect overall as a dance venue. The only quibble this year was in the sound booth and DJ area. Brisbane DJs are thin on the ground, and while Sydney’s El Padrino provided some gutsier salsa, overall there was a sameness. Booth-wise, there were musical gaps, and other stumbles that need fixing. This is not normal in an event noted for its impeccable management. That said, the festival provides something for everyone. Rescheduled for December in 2019, you can can invest your travels dollars without fear, it will be of top quality. Given that On2 salsa is dominating the salsa scene in both hemispheres, why do Australian (and other) salsa schools still teach learners On1? It only creates muscle-memory agony later during the change-over. And finally, at most dance events numerous photographers manage to get in the way for most of the time. Why then is it so hard to find any of the photographs afterwards? See you on the social salsa dance floor in 2019. It’s a promise, not a threat. https://www.youtube.com/watch?v=kW5PrZ_b6NA Descharga shine anyone? Adolfo headlines this year at the Vietnam International Latin Festival.